A brand new residential assisted living home is opening it’s doors in San Juan Capistrano, CA, and it is unlike anything else the area has to offer. While several other senior living facilities have been operating in the area for some time, Adagio San Juan offers a new and unique setting for those looking to have a luxurious and intimate lifestyle. Adagio San Juan is not a “big box” assisted living facility. There are no long hallways. There are no elevators. There are no long walks to the cafeteria for meals. Adagio San Juan, quite simply, is a home designed with you in mind. We know that moving into a senior living facility can be a trying and troubling time, especially if you have lived in your home for many years. Often, this is a decision made out of necessity. Perhaps for health and safety reasons, the senior simply cannot live by themselves any longer. Often times, the decision to move to assisted living is made between the children and the senior. So, how do you choose? Is it simply the size? The amenities? The price? The location? All of these criteria and more are important when making your decision. At Adagio San Juan, we have reflected upon the current options and decided that we wanted to bring something new and unique to the senior living landscape. We believe that people like homes. We believe that people like intimacy. We believe that a higher caregiver to resident ratio ensures better safety and quality of life for our residents for two reasons First, our caregivers are not spread thin over a larger amount of residents, constantly running around and feeling behind in their daily tasks. Second, with more personalized caregiving, we are able to witness and detect changes in behavior and health as soon as they may occur. We then can alert the family and the proper medical professionals. As if a higher standard of caregiving is not enough, we have also designed a luxury home with premium features. You will be welcomed and delighted at the space we have created at Adagio San Juan, offering private rooms, a professional chef, and an in-house spa center. Adagio San Juan is also family owned and operated by a Dr. Cedric Choan and his wife, Michelle who is a certified RCFE administrator. The Choans live and are raising their family in San Juan Capistrano, CA. They care deeply about their community and are excited to bring this valuable service to the elderly living in the area. Our location is also perfect for visiting family members and friends. We are conveniently located right off of San Juan Creek Rd, across from St. Margaret’s Episcopal Church. We have strategically selected our location to offer easy access and encourage guests to visit. And when you arrive, there are no check in lines or maps to find your loved ones room because, as we’ve mentioned, we are a home. Adagio San Juan wants to be your NEW home. For many, retiring in the beautiful setting of San Juan Capistrano in southern Orange County, CA is the only place they could think of living. 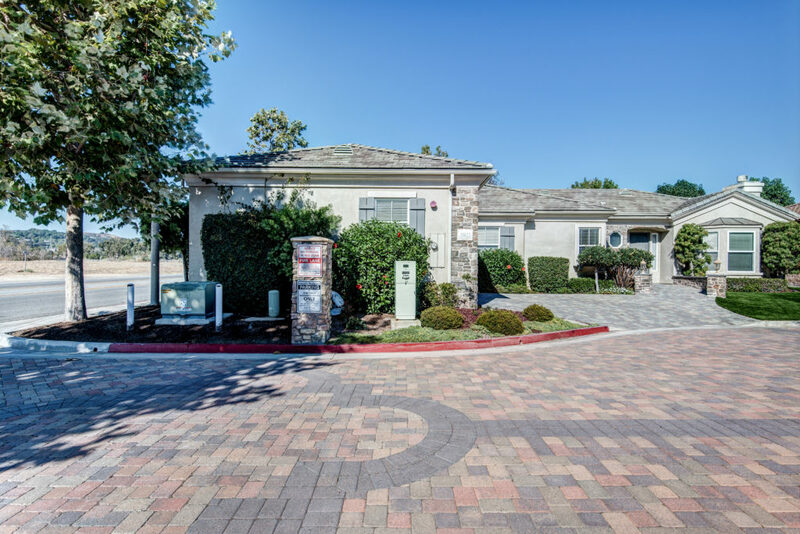 Some of the other larger assisted living facilities include Atria, Brookdale, Silverado and Del Obispo Terrace. We encourage you to tour the other facilities and then come and see what we have to offer. We know that there absolutely NOTHING else like it, and you will fall in love with our intimate and luxurious setting. We are opening our doors in just a few days. To tour our home, we recommend you come to our first Open House on November 5, any time from 10am to 4pm. But don’t hesitate. With a residential home, we have a limited amount of rooms. You will certainly want to come and secure your spot before they all get snatched up! Come and experience a different kind of assisted living, one that is more intimate, personalized, and what we believe to be a superior choice in assisted living. Come and visit Adagio San Juan. We are located at 31822 San Juan Creek Rd, San Juan Capistrano, CA 92675. And, you can call us at (949) 899-8388 to schedule a tour.